As children age into adolescence, their need for support remains consistent, although the types of support they need and places they seek it may change. 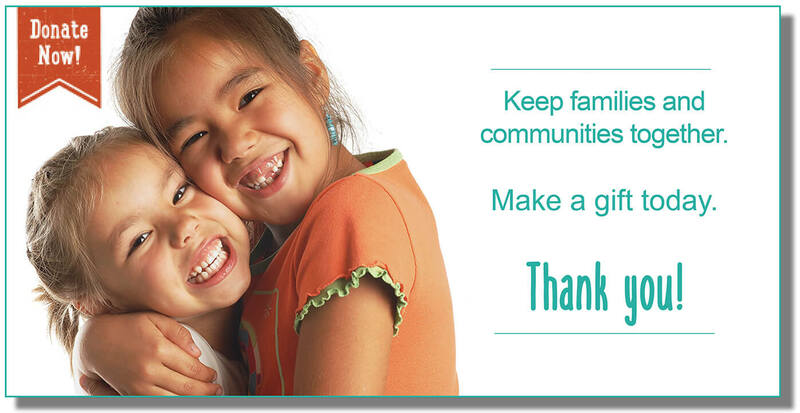 NICWA addresses these needs through youth empowerment programming with a positive youth development approach. In a deliberate way, we build on the internal strengths of youth to ensure our research, community programming, and efforts toward systems reforms are guided by their insight and lived experience. By youth engagement, we mean “the concept and practice of meaningfully engaging youth in decisions that affect them, their peers, and their communities. Youth engagement ensures that young people become an integral part of the work of organizations and communities and that their voices help shape the future” (JCSH Youth Engagement Toolkit, 2013, pg. 7). The positive youth development approach we use is intended to support young people in a way that encourages leadership, positive identity, community involvement, and healthy relationships. Positive youth development “seeks to promote a variety of developmental competencies that young people need at individual, social, and system levels to become productive, contributing members of society. Positive Youth Development adopts a holistic view of development by emphasizing the strengths, resources, and potentials of youth, and holds positive expectations regarding young people’s growth and development and the contributions they can make to society” (Iwasaki, Springett, Dashora, McLaughlin, McHugh, & Youth 4 YEG team, 2014, pg. 321). Our commitment to focusing on youth extends to our governance and staffing. Two seats on NICWA’s board of directors are reserved for youth board members, who have all of the same rights and responsibilities as adult members. Through a memorandum of agreement, NICWA youth board members are elected by the National Congress of American Indians (NCAI) Youth Commission to serve three-year terms. NICWA also employs a full-time youth engagement specialist as a member of our staff. A fundamental tenet of systems of care is that the development of mental health services and systems must be youth-guided—their development must be informed by youth who receive services. To ensure our technical assistance (TA) to tribal systems of care supports the youth-led principle, our youth engagement specialist not only provides TA to communities, but also develops programming, resources, and opportunities for AI/AN youth as well. 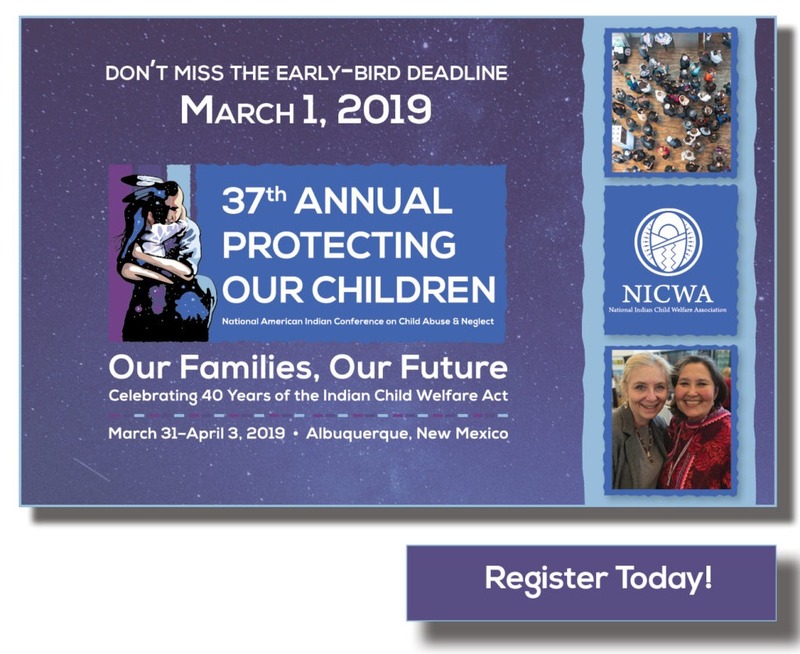 NICWA’s longstanding partnership with NCAI includes co-facilitating or participating in youth programming during NCAI’s mid-year and annual conferences. In addition, NICWA’s youth board members, who are elected by the NCAI Youth Commission, continue to serve on the Youth Commission so they can report out about NICWA’s work and seek youth input and feedback that they can bring back to NICWA. The Native American Youth and Family Center (NAYA) serves as the hub of Portland’s diverse AI/AN community. NICWA and NAYA have partnered in the past on programming aimed at developing youth leadership and advocacy skills. For our Photovoice project, we worked with NAYA to facilitate a youth leadership exchange between NAYA youth and youth from the Confederated Tribes of the Umatilla Indian Reservation. At NAYA, NICWA provided digital cameras and photography training to youth and facilitated discussions about the photos they took capturing their strengths, supports, and challenges. Youth presented their photos in an art exhibit aimed at better understanding the effectiveness of culturally based intervention strategies. The voices and experiences of AI/AN youth guide NICWA’s efforts to improve policies that impact the well-being of AI/AN children and youth. NICWA seeks youth input through our youth board members, the NCAI Youth Commission, youth in tribal System of Care communities, and other AI/AN youth and youth groups with whom we partner. NICWA also seeks to directly involve AI/AN youth in our advocacy efforts on both the federal and state level. Working with youth in their roles as youth leaders and community advocates helps NICWA pursue its policy goals and support young leaders in Indian Country. AI/AN children and youth are overrepresented in various human services systems, such as state foster care and juvenile justice systems. This overrepresentation, or disproportionality, as it is often referred to, represents racial inequities that have been perpetuated through biases in policy and practice as well as disparities in access to prevention and treatment services. NICWA partners with the National Indian Education Association, National Congress of American Indians, and National Indian Health Board to raise awareness of these racial inequities, empower youth to participate in targeted policy action in and outside their communities, and work with federal and state policymakers to eliminate racial inequity and disparities. 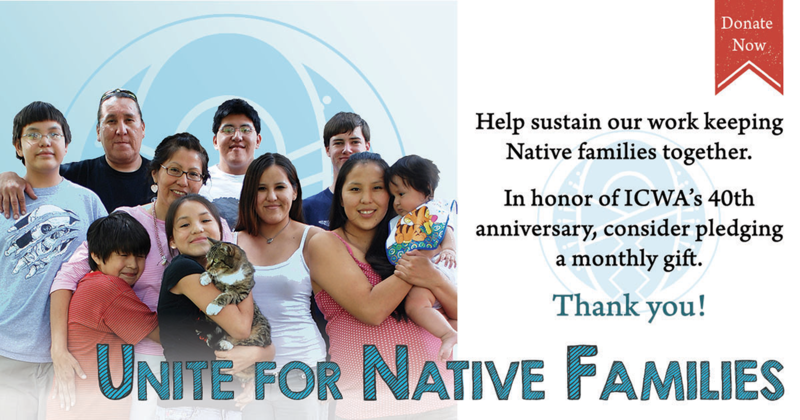 Recent years have seen unprecedented support of Native youth by the highest levels of the federal government. Recognizing the White House Youth Gathering as an historic opportunity for Native youth, NICWA sent local youth to participate. Both NICWA and tribal systems of care recognize that youth are the experts of their own lived experience, and as such must be included in the development of service plans intended to benefit them. In partnership with SAMHSA, NICWA supported youth participation aimed at networking and developing their advocacy skills at SAMHSA’s Native Youth Conference. 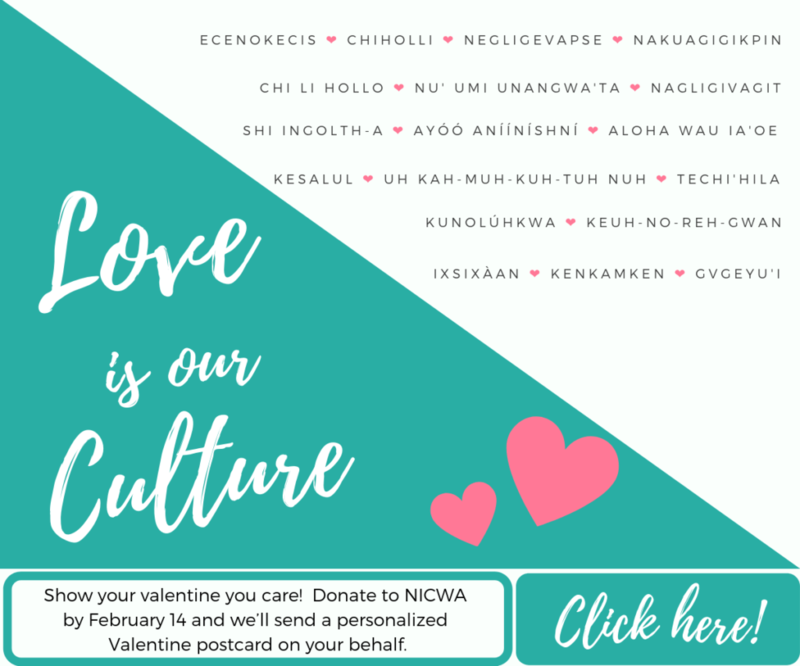 NICWA was one of many national Native nonprofit organizations to take the Gen-I pledge to support youth-driven projects in tribal communities throughout the country.